Book marketing is hard but necessary. Building a sustainable business as an author isn’t as simple as just writing books. I wish it were. I, like most writers, prefer making up my stories, getting them down on paper, and entertaining people. The marketing side of things isn’t where I want to spend the bulk of my time. But if people don’t know about your books, they won’t be able to buy them. It’s that simple, and you’ve heard me say it before. However, as I’ve also said before you must figure out how to balance the writing and the marketing if you want to build a sustainable writing business. It’s not easy to juggle it all, and it’s different for everyone. There’s no one size fits all. I’ve struggled in my 10-year author career with the marketing side of things. It took me years to figure out how to achieve that delicate balance. To be honest I still fall off the balance wagon from time to time. And when that happens, things soon start to suffer. When I started my writing journey, I would make great progress in releasing books. But the sales would be horrible because I wasn’t marketing. When I focused on marketing my books, the sales would go up, but I couldn’t get any writing done. I was constantly frustrated and felt I kept going around in circles and wasn’t making progress. The lack of being able to do both effectively was enough to make me want to quit. I’m sure some of you out there can understand exactly what I mean. I finally realized it wasn’t that I didn’t have enough time, but rather I didn’t have a focus when it came to marketing. I was wasting the time I did have. I was all over the place and spent more time trying to figure out what I should do than actually doing it. I discovered after trial and error and researching other authors that I needed to build a brand. A persona if you will that was my author life and encompassed aspects of my books I felt would connect with readers. Something I could anchor my marketing efforts to so I could get the focus necessary to gain traction. Something I could build a marketing process around to create a routine. Lessening the chasing my tail thing I’d been doing for so long. To build a sustainable author brand it needs to be authentically you. It’s too hard to maintain something that you don’t connect with, and readers will see right through it. Now you might be saying, but Laina I write murder mysteries and connecting with readers over murder seems a little extreme. You aren’t your books. Your books are an extension, in some form, of your personality and interests. You only need to take a few elements you feel you can engage your readers with. You need to know who your audience is and what is going to appeal to them. Then you can determine how best to develop your brand in a way that will engage your reader. My reader demographic is women over 40, so I’m lucky that my demographic is me. While I write mysteries that contain murders my brand messaging talks more about shoes, shopping, coffee, and wine. Also about kids and family because those are the things that resonate with my readers and get them engaged with me as a person and as an author. 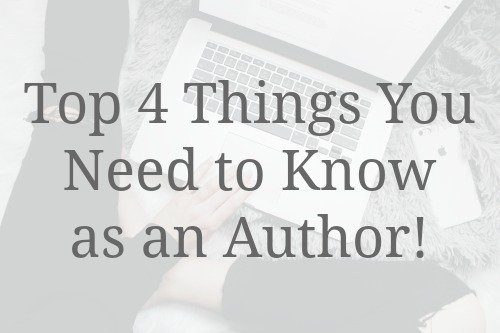 Think about what 2 or 3 things you feel your readers would be excited to engage with you about. Set that, with your demographic information, as a starting point for creating your brand.